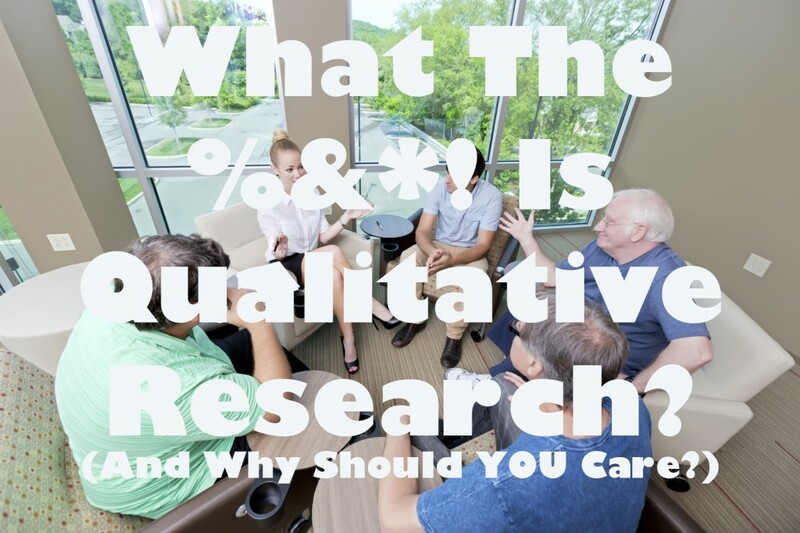 Victory Enterprises > Blog > How Can Qualitative Research Help Your Campaign? Political campaigns are missing out on the potential insights from qualitative research. Campaign researchers are far behind their counterparts in the corporate/branding world when it comes to the adoption and (appropriate) use of qualitative research. Last year I took a course for focus group moderators at the Burke Institute in Cincinnati. As a political professional, I stuck out like a sore thumb at the course, which was dominated by market researchers. The reason? They’d never had a campaign researcher show up to the training before. To be fair, political campaigns are much more sophisticated in their public opinion research than they were just a decade ago. Political pollsters have emerged as their own cottage industry catering to every level and type of candidate. President Obama’s campaign has spurred an entire new sector of technology-based researched focus on mining the Internet and social media sites for voter data. However, these techniques are almost entirely quantitative in nature, leaving qualitative research out in the cold and preventing campaigns from gaining the benefit of an entire range of public opinion research. So, what is qualitative research and how can it help political campaigns develop wining messages? Let me explain. Isolated vs. Interactive: Quantitative research relies, primarily, on survey instruments that treat each voter as distinct isolated individuals. Qualitative research often relies on group observation (e.g. ethnography) or group interviews (focus groups) and examines the interactions between the participants to gain understanding. The point of analysis in a quantitative research project is each individual voter, while the point of analysis in qualitative research (other than In-Depth Interviews or IDIs) is the group itself. Rigid vs. Dynamic: Quantitative research uses pre-determined survey scripts and, predominately, pre-determined answers from which the respondents choose. Qualitative researchers use a pre-determined set of questions, they can deviate from those questions to address new information that comes up in the group or interview setting. Also, the respondents in qualitative research are encouraged to give open- ended responses. Broad vs. Deep: Quantitative research tries to create a statistical model that will explain the “position” of as many voters as possible. It attempts to create a “Big Picture” that explains what most voters feel on a set of issues. In general, it does a very good job of providing this broad surface level data. However, qualitative research is better at providing deep analysis of the motivations, emotions and feelings behind the opinions of voters. Think of it this way, quantitative research can tell you “what” a lot of voters think, while qualitative research can tell you “why” a specific group or type of voters has the opinions they do. Uses: Quantitative research can help campaigns get a good snap shot of where voters are at on a given issue, but it often leaves consultants or pollsters guessing as to why or how voters came to those opinions. If you are interested in how qualitative research can help your campaign, please give us a shout. If you’re interesting in conducting or pursuing focus group research (the most prevalent form of qualitative political research), then check out my review of 3 great focus group facilities in the Midwest.